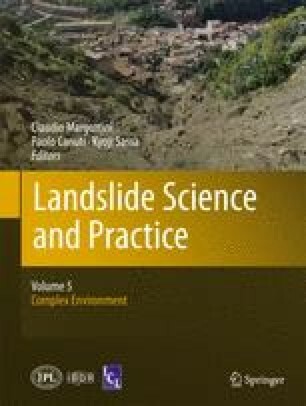 This study shows, for a landslide prone area, the assessment of the slopes capacity to withstand earthquakes and how triggered mass movements can threaten potentially exposed structures and facilities. As a result a set of spatial representations (i.e., scenarios) of slope performances in a variety of seismic and climatic conditions is given and how they can induce damages or interruptions of public services such as rescue activities, communication roads, or the disruption of lifelines and urban settlements is presented. The Authors acknowledge the anonymous reviewer who provided valuable comments and suggestions.